"Well, I'm not a scientist, I'm an inventor." Of course, some scientists are also inventors. But there is a difference. A person acting scientifically is trying to understand the natural world, whether or not that understanding is economically useful. An inventor tries to create something new that will have practical application. In both cases there is a sense of challenge in the pursuit and a sense of achievement in the result. Thomas Alva Edison was born 11 February 1847 in Milan, Ohio. He received little formal education, but showed an interest in chemistry and began experimenting to teach himself more about the subject. At age 12 he went to work selling newspapers and sundries on a train between Port Huron and Detroit. This gave him money to buy experimental materials, and also gave the voracious reader access to the Detroit Public Library. When Edison saved the life of a child in 1863, the grateful father (manager of the Mount Clemens railroad station) taught Edison telegraphy. Entranced by the new technology, Edison took up the life of an itinerant "Knight of the Key." But he continued to experiment with chemistry and began tinkering with electrical devices. He received his first patent (for an electric vote recorder) in 1868, but this invention failed to sell. During the next six years he developed a new stock ticker and a "quadruplex" telegraph, inventions that not only sold well but allowed him to establish an "invention factory" in 1876. 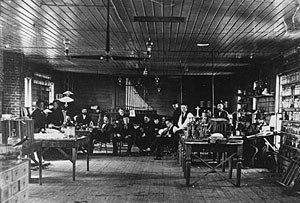 Edison's laboratory in Menlo Park, New Jersey, proved critical to the inventor's success. The two-story, frame building contained as many chemicals and instruments as he could afford, as well as talented associates. Several other buildings were added as the need arose. Menlo Park was the embryo of the modern research laboratory -- a place where the inventor could have at his fingertips the materials and expertise to turn his ideas into physical form. None of his contemporaries had such a marvelous tool. Edison built a house for his family just down the lane from the laboratory. Other (married) members of the staff also built homes nearby. Most of the bachelors stayed in a boarding house run by Mrs. Sarah Jordan, a distant Edison relative. This close proximity suited Edison, who often had his lunch brought in and thought nothing of working with his men late into the night. At one end of the large room on the second floor was placed a pipe-organ, which Edison would occasionally play for relaxation. An early project to improve on Bell's newly invented telephone resulted in a carbon transmitter and something unexpected -- the phonograph. This invention made his reputation as "the Wizard of Menlo Park." People were astounded by a machine that could talk, and the accomplishment gave investors and potential customers confidence in Edison. He now had both the lab and the financial backing to tackle a problem that had frustrated inventors since the 1820s, how to make a practical incandescent light bulb. 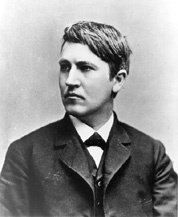 Edison's growing reputation also helped him to attract and retain skilled assistants. Though he was the undisputed leader of the team, Edison built up a cadre of artisans and researchers who had strengths that complemented his. Not everyone who worked for Edison found the experience satisfying--the hours were long and Edison's goals dominated the work. Those who (like Nikola Tesla) could not put aside personal goals and visions, or who (like Ludwig Boehm) found the environment too coarse, soon left. But those who could subordinate their interests to Edison's and who could work the odd hours as "one of the boys" often stayed with Edison for years. Some of those important to Edison's light bulb work are profiled below. Upton was the best educated of Edison's Menlo Park assistants, having graduated from Bowdoin College and taken graduate work at Princeton and in Germany. He was recruited by investors who felt it couldn't hurt to supplement Edison's wizardry with some advanced scientific training. They were right, and Upton's understanding of mathematics and physics was of critical assistance in the development of the light bulb, the dynamo, and other elements of Edison's system. Nicknamed "Culture" by his colleagues, he was placed in charge of the Edison Lamp Works in 1881. In 1918, Upton became the first president of the Edison Pioneers. Batchelor was born in London, but raised in Manchester and apprenticed there as a mechanic. At age 22 he came to America to help a firm in Newark, N.J. with the installation of machinery. Finishing this work, he moved to Edison's Newark factory and rapidly became an indispensable part of Edison's crew. He participated in most of the early inventions, from the electric pen to the phonograph and the electric light. "Batch" was valued for his versatility and his good mechanical sense. In 1881, he was sent to Europe to promote the Edison system and remained there for three years. Upon his return he took charge of the Edison Machine Works, and remained with the company even through its merger into General Electric. While Batchelor never made a name for himself in either invention or business, he was widely recognized as Edison's closest associate during the most creative years of Menlo Park. 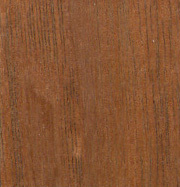 Kruesi arrived in the United States in 1870, having been trained in his native Switzerland as a machinist. According to one of his coworkers, Kruesi "understood work in the drafting room and could decipher one of Edison's sketches no matter how crude it was." It was Kruesi who constructed the first experimental phonograph, following Edison's design. Like Batchelor, Kruesi worked for Edison before Menlo Park, and afterwards served as superintendent of the Edison Machine Works in Schenectady. When, in 1878, Edison announced that he had the answer and knew how to make an incandescent light, gas stocks around the world fell. The only problem was that his answer was wrong, and a year of hard work lay between Edison and success. The initial idea was to make a lamp with a platinum filament, a metal that was slow to oxidize and that had a high melting point. To keep the filament from overheating and burning out, Edison designed a complex regulating mechanism. The regulator would occasionally shunt current away from the filament, allowing it to cool off. Not only was this mechanism complicated to make and operate, but a light bulb that shut itself off every few minutes was hardly practical. Experiments with platinum proved useful, however. Edison discovered that hot filaments released gasses trapped in the metal. One of the hurdles to overcome was the creation of a better vacuum pump, one that could produce the very high vacuum needed. While experiments progressed through late 1878 and into 1879, Edison initiated work on other components needed for a practical lighting system, items like meters, cables, generators. He also began an economic survey of gas lighting, the technology he had to compete against. The light bulb effort was not the only project at Menlo Park; another was continuing work on improving Edison's telephone. The heart of Edison's transmitter (superior to Bell's by most accounts) consisted of a variable resistance carbon disk about the size of a button. Edison, like many of his competitors, had tried carbon as a lamp filament, but was discouraged by the material - it burned-out too quickly. Carbon had the highest melting point of any element, however. In the fall of 1879, experiments with carbon filaments resumed. Edison and his men recorded designs and experiments in notebooks all around the lab. Edison knew these books would be invaluable for backing patent claims, but probably thought little about their value to historians. In October 1879, Batchelor recorded a series of experiments with carbon filaments made from a variety of materials. Much mythology surrounds these experiments, but according to the notebooks a carbonized filament of uncoated cotton thread operated for a total of 14½ hours on 22-23 October. While not the 40 hours of legend, this filament led the Menlo Park team to believe that they were on the right track. By 2 November that belief was such that Upton reported in a letter home, "The electric light is coming up. ... I have been offered $1,000 for five shares of my stock." Under pressure from his investors, Edison announced a public demonstration of the new lamp for New Year's Eve. Though not completely satisfied with the newest lamp (containing a carbonized paper filament), Edison nevertheless invited the public to Menlo Park. Visitors from New York City arrived on special trains to see the laboratory, the grounds, and Sarah Jordan's boarding house illuminated with about 100 of the new lamps, one of which is seen above.